Getting Around San Francisco. Transportation without tears! A local's guide to getting around San Francisco: tips on using San Francisco's public transportation system without excess stress! The huge variety of ticket options, transit passes and modes of transportation can be very overwhelming. I've tried to create some order out of it and present the pros and cons of each. The good news. San Francisco is one of the better cities in the U.S. for getting around without a car. Not so good: the San Francisco public transportation system can seem very confusing and complicated. But there are ways to make it easier and to save money while doing so. Read on! A big benefit of using public transportation is not having to drive in San Francisco traffic, and best of all, not having to hunt for parking (especially with the current epidemic of car break-ins...ugh!). If you are here for just a few days or a couple of weeks, the most practical and economical way of getting around San Francisco would be getting one of the 1, 3 or 7 day passes that allow unlimited travel on all the buses, streetcars and cable cars (but not BART) in the city. You can purchase the SF Visitor Passports that give you unlimited travel for 1, 3 or 7 days, or a combination San Francisco CityPass that adds several attractions or activities to a 3-day transit pass. Another option, especially for first-time visitors, is getting a 1, 2 or 3-day pass on one of the Hop On Hop Off bus tours that combine a city tour with transportation over a large part of the city. You can buy individual tickets or get transit passes for unlimited travel over different time periods. Clipper Cards and MuniMobile are cashless methods of paying for individual tickets and can also be loaded with the passes. San Francisco Muni operates both a bus system and a network of streetcars (or trolleys) that run on rails. Locals generally refer to the buses as Muni and the streetcars as Muni Metro. The F-Line. 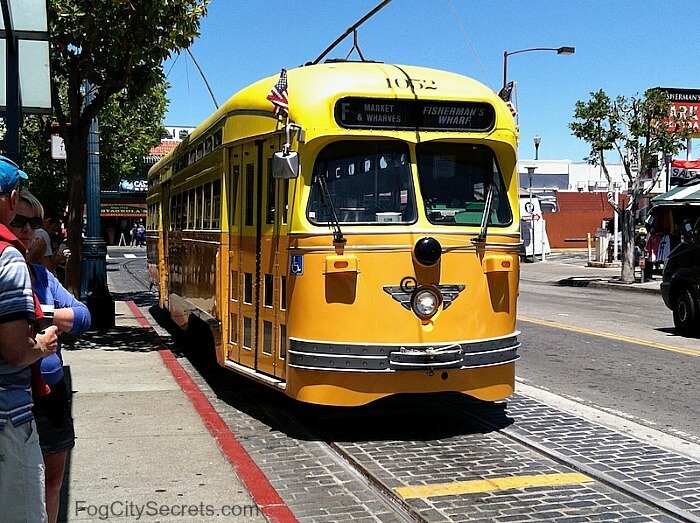 In addition to the regular street cars that travel all over the city, San Francisco has a rail line with antique street cars from other cities that runs from the Castro District to the Ferry Building and down the Embarcadero to Fisherman's Wharf. These cars are fun to ride; check out a vintage street car from Milan or Chicago! See F-line for route, schedule and live map info. Together, the two systems cover most of San Francisco. The fares are the same and the passes work the same way on both systems. None of the passes can be purchased on the bus or streetcar. See passes below for info on how to purchase them. Find the bus route and fare: plug in your starting and ending locations. Get bus #, transit times, and fare, plus a route map. See Trip Planner. List of bus routes. Click on the route and get the route map plus real-time bus locations and arrival times for buses. See bus routes. Muni map of all routes. 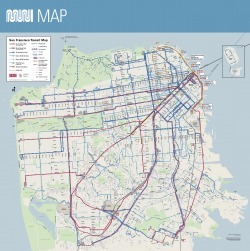 Get the PDF version of the complete Muni map for San Francisco. See Muni map. Golden Gate Transit is a public transportation company that mainly provides bus and ferry services for the North Bay (Marin County and Sonoma County, north of the Golden Gate). But within the city, their buses run from downtown SF to the Golden Gate Bridge. It's also a good way to get to Sausalito from SF. For more info on getting from San Francisco, across the bridge, and down into Sausalito by bus, see buses to Marin. How to pay the fare (distance based). They accept cash, and don't require exact change like SF Muni buses, but you get a change card only good on their transit system. They accept Clipper Cards, but not the SF Visitor Pass, SF CityPass, or MuniMobile. They also run the Golden Gate Ferry system, which takes people from the SF Ferry Building to Sausalito, Larkspur and Tiburon. Purchase tickets at the terminal. The ferries accept the Clipper Card. See Golden Gate Ferry for more info. Golden Gate Transit's bus route #30 (San Rafael-San Francisco) runs from the Transbay Terminal downtown, with multiple stops along Market Street and Van Ness Ave. The bus stops at the toll plaza at the Golden Gate Bridge before crossing the bridge and stopping in Sausalito, before its endpoint in San Rafael. See bus route #30 for more info. For more info on routes and schedules, see Golden Gate Transit. Powell-Hyde line. From Powell & Market Streets to Fisherman's Wharf, at Beach and Hyde Streets. Powell-Mason line. From Powell & Market Street to Fisherman's Wharf at Bay & Taylor Streets. California Street line. Along California Street from Drumm Street to Polk Street. Senior/Disabled: $7.00 7 am - 9 pm; $3.00 9 pm - 7 am. Payment accepted: cash (exact change), SF Visitor Passport, SF CityPass, Clipper Card, MuniMobile. Get on a couple of blocks away from the starting point. For some reason, even though they "fill up" the car at each turnaround spot, there are usually spaces to get on a block or two later. Go for an evening ride. Not only is it less crowded, it's quite magical riding after dark. Ride the California Line. Most people ride the cars between Market Street and Fisherman's Wharf, but the ride through Chinatown and up and over Nob Hill is very pretty (and steep!). Using passes on the cable cars. Hand the pass (paper or plastic), or show MuniMobile on your phone, to the ticket-taker for them to scan. Good to know: the cable car line that stops at the top of the crooked block of Lombard Street is the Powell/Hyde line. The two Powell lines leave from the same spot on Market Street, and use the same line. If you're in line to get on, and it's the Powell/Mason car, but you prefer the Powell/Hyde Line (written on the cars), you can let other people go ahead of you to take the other car. From Lombard St., it's only three blocks to the end of the line in Fisherman's Wharf. Easy to walk to the wharf from there, but if you get back on the cable car, you get a fun ride down a really steep part of Hyde Street. Good photo op on that stretch, too: nice views of Alcatraz and the Wharf. Note: if you want to get back on the cable car, you have to pay the fare again, unless you have a pass with unlimited rides. See transit passes below for how to get them. BART, or Bay Area Rapid Transit, is a train system that runs through San Francisco and out to other cities in the East Bay and down the Peninsula. In San Francisco. The Bart trains run underground, under Market Street, like a subway, then emerge above ground in the outer areas of SF. East Bay. After leaving the last SF stop downtown (Embarcadero), the trains run under San Francisco Bay, through Oakland, then north through Berkeley to Richmond and Antioch and south through San Leandro to Fremont and Pleasanton. The Peninsula. South of San Francisco, the trains stop at several towns along the peninsula, going all the way to the SF Airport and Millbrae. Both the SF and Oakland airports are connected to BART. See BART map and list of stations at BART info. Insider tip: avoid the BART (and Muni) station at Powell and Market if you can. It's earned a well-deserved reputation for grossness! You'll see things you would never want to see. Sorry! Calculation of BART fares. BART fares depend on the distance traveled. Tickets can be purchased at the BART stations via ticket machines which take cash and credit cards. Tickets must be purchased prior to getting on the train, and you need a ticket to open the entry gate. BART has an app on their website to calculate the fare. See fare calculator. Using the tickets. To get on BART, you put your ticket in the slot to open the turnstile. When you get off, you do the same, and the amount in automatically deducted from the value of your ticket. What if you underpay? You'll see the "Underpaid: Go to Add Fare" sign pop up. Then you go to the Add Fare machine nearby to add more money, cash only (they tell you how much). Clipper Cards. You can use your Clipper Card for BART tickets throughout the whole BART network. The fare is calculated automatically when you exit. BART/Muni Adult "A" Fast Pass is a monthly pass for unlimited rides on BART within San Francisco (Embarcadero to Balboa Park stations) and on all SF Muni buses, trolleys and cable cars. For use on Clipper Cards only. $94. BART discount tickets. BART sells Blue Tickets (6.25% off, everyone), Green Tickets (62.5% off, seniors 65+), and Red Tickets (62.5% off, disabled and Medicare cardholders). Also only for use on Clipper Cards, must be added online. Does San Francisco have a subway system? Sort of. Two underground train lines run underneath Market Street downtown, from the end of Market Street near the Ferry Building, out to the neighborhoods further west or south. The Muni Metro streetcar lines are on the first level under Market Street, and the BART train tracks run on the lower level below the Muni trains. Both lines then emerge (at different points) and run like streetcars and trains above ground for the rest of their routes. Most of the routes are above ground for both transit systems. The two rail systems share the same stops from the Embarcadero Station to the Civic Center Station, but the BART stations are on the deeper level. Muni Metro is a subway while it is downtown and a streetcar line further out. Muni Metro ends (or starts) at the Embarcadero station, while BART continues under the bay in the Transbay Tube to Oakland and beyond. BART is also a subway under Market Street until Civic Center Station, then it goes on to four more underground SF stops. Going south, it's a train from Daly City (at the SF border) to the SF airport. Heading east out of San Francisco, BART stays underground for a few Oakland and Berkeley stops after it crosses under the bay, then travels above ground for the rest of the East Bay stations. It's not really a subway compared to the extensive, city-wide, underground-transportation networks that other cities have. It just gives us a little taste of a subway vibe, while most of our city rail travel is above ground. The PresidiGo Shuttle is a free transportation service provided by the Presidio Trust, a federal agency associated with the National Park System. The Downtown shuttle runs from downtown SF out to the Presidio where it connects with the two other Presidio shuttle routes. You can catch the Downtown shuttle at Drumm and California Streets near the Embarcadero BART and Muni stop, and take it to the Golden Gate Bridge via the Crissy Field shuttle. The buses run daily, from morning to evening (times vary with route and day of the week), every 30 minutes. For more info, see PresidiGo schedules with live bus maps for the three routes. Tip: the Crissy Field shuttle route will take you not only to the Golden Gate Bridge, but also to the trailhead of one of the prettiest hikes in San Francisco: the Batteries to Bluffs Trail (stop is "Golden Gate Overlook"). For details, see my page on the trail and the secluded beach it leads to, at Marshall's Beach. And the Presidio Hills route will take you to Baker Beach, one of San Francisco's best beaches. See Baker Beach for why it's such a cool beach to visit. There are over 40 stops inside the Presidio, formerly an army base, now a part of the National Park system with lots of things to do and see. See Presidio for more info. Untangling all the SF Ferries! It can be confusing because there are four ferry services connecting San Francisco to other locations. The public ferries take Clipper Cards; the private ones don't. Two ferry services are considered public transit and two are private services. The SF Bay Ferry. Goes to East Bay towns, like Oakland, Richmond, and Vallejo. Public transport, so it takes Clipper Cards. Leaves from Pier 41 and the Ferry Building. See SF Bay Ferry for more info. Golden Gate Ferry. Goes to Marin County towns, like Sausalito, Larkspur and Tiburon, and also Angel Island. Public transport, and takes Clipper Cards. Leaves from the Ferry Building. See Golden Gate Ferry for more info. Blue and Gold Ferry. Goes to Sausalito, Tiburon and Angel Island. Private company, no Clipper Cards. 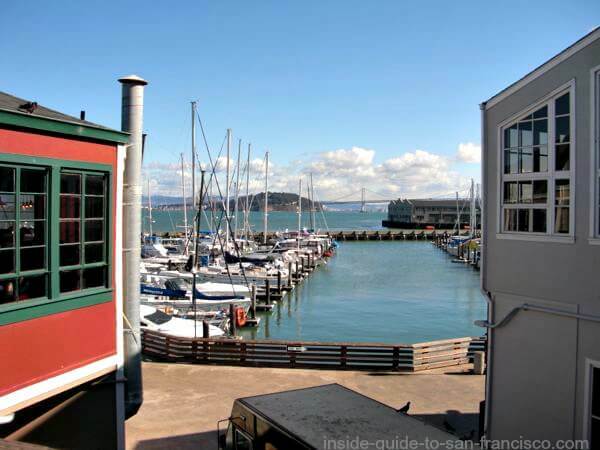 But, some passes that include attractions may include one of their bay tours, like SF City Pass. See Blue & Gold Fleet for more info. They also do a number of popular bay cruises and tours. See my reviews of many of the SF bay cruises. Leaves from Pier 41. Alcatraz Ferry. 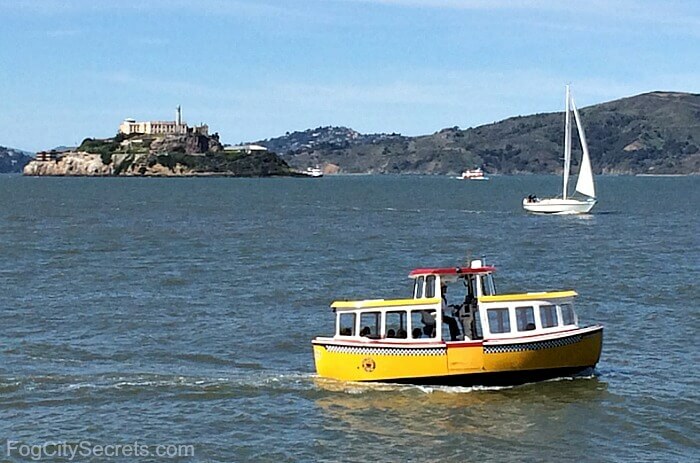 This is the only ferry service that takes visitors to Alcatraz island. The ferries are operated by the Hornblower Company, a private company. They leave from Pier 33. 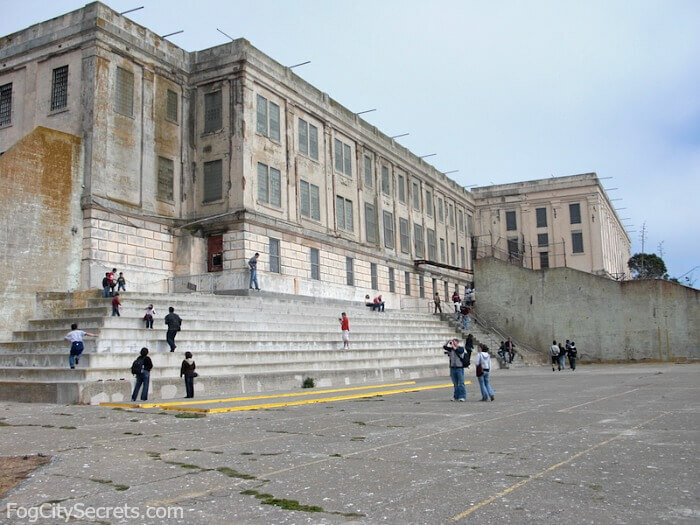 Booking an Alcatraz tour is the only way of getting out to the island. 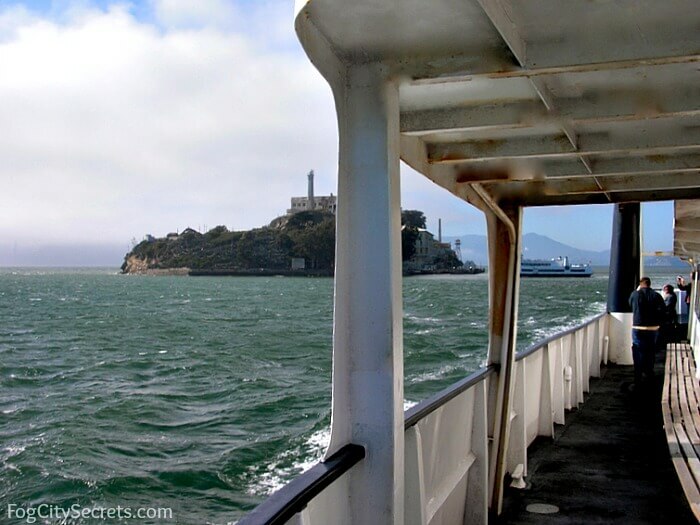 For the best ways of getting tickets for the Alcatraz tours (which include the ferry ride to the island), see my tips at Alcatraz tours and tickets. The SF Bay Ferry is considered public transportation even though a private company, the Blue and Gold Fleet, has the contract to run the ferries. It is primarily a commuter service for people who work in San Francisco. Oracle Park Ball Games. When the SF Giants are playing home games at Oracle Park (formerly AT&T Park), the SF Bay Ferry operates special ferry services to the ballpark. Do you need a reservation for the ferry? No, they don't sell reserved places on the ferries; it's first-come, first-served. Exception: you do need a reservation to take the Alcatraz ferry. 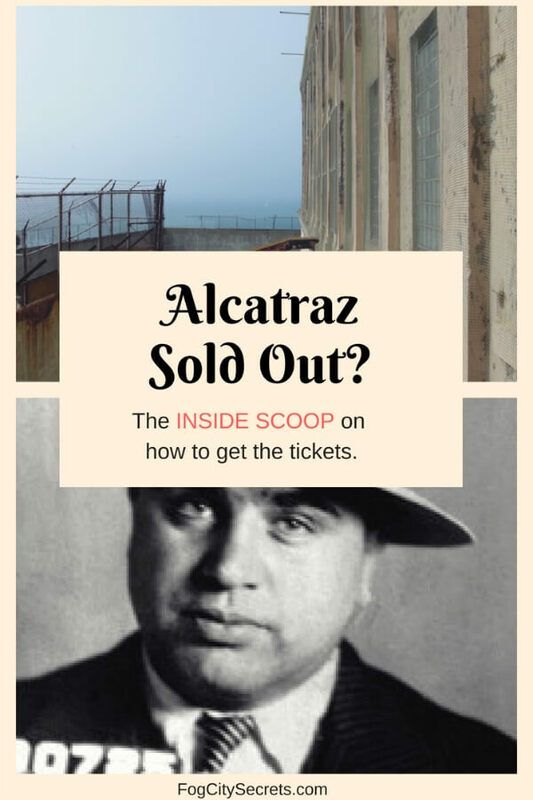 Alcatraz tours sell out so booking in advance is very important, especially during the summer season on holiday weekends. The various SF transit passes don't include the ferries. The exception is the SF City Pass, which includes a ride on the Blue and Gold Ferry's tour of the bay as one of their "attractions". The Red and White Ferry. This is another ferry company that you'll see at Fisherman's Wharf and out on the bay. This ferry does bay tours, including their very popular, one-hour bay cruise, leaving from Pier 43 1/2, but they don't provide transportation to other locations. There are a variety of transit passes available for getting around San Francisco without needing cash in exact change on the buses, trolleys and cable cars. SF Visitor Passports. 1, 3, & 7-day passes. 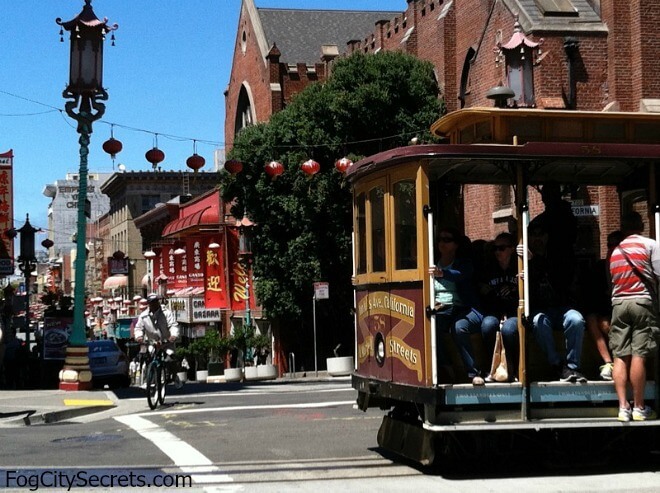 Unlimited rides on buses, trolleys & cable cars. Consecutive days. How to buy the SF Visitor Passports. In person. You can buy them at ticket kiosks and at various retail locations throughout the city. See map of locations. Online using a Clipper Card or MuniMobile account. Clipper Cards purchased online are mailed, so if you want to get a Clipper Card for this pass and use it right away, you can buy the card for $3 at a number of locations in the city, then set up the account and put the pass on it. If you already have the card, you can load the pass online. More on Clipper Cards. MuniMobile. If you have a smart phone, it may be easier to set up a MuniMobile account on your phone and put the pass on it. You can do it all online without hunting for the purchase locations. Then you use your phone to pay the fare on the buses and cable cars. Download the app for either ios or android; or set up the account at their website here. But the app has gotten mixed reviews; works well for some but not for others. See MuniMobile for more info. Cool things about MuniMobile (when it works): you save $0.25 on each bus or trolley ride, don't need to carry cash, don't have to add money to the card in advance (it uses your credit card), and you can buy tickets for the whole family on one phone. You can use MuniMobile for individual tickets, or load your passes onto it. You have to add money to the Clipper Card in advance, but it doesn't expire. MuniMobile pre-purchased tickets expire in 90 days. Clipper Cards can be used on many regional Bay Area transit systems outside SF, but MuniMobile is only usable in the city. Clipper Cards can be used on the SF Bay Ferries and Golden Gate Ferries (but not the Blue and Gold Ferries or Alcatraz Ferry). MuniMobile can't be used on the ferries. Tip: the SF Visitor Passports are cheaper if you have them on MuniMobile or a Clipper Card (as opposed to the paper version): $12 vs $23 for 1 day, $29 vs $34 for 3 days, and $39 vs $45 for 7 days. Admission to either the Exploratorium or SF Museum of Modern Art. How the CityPass works. When you purchase an SF CityPass, you'll receive a voucher online which you will need to exchange for a CityPass booklet when you arrive (see voucher for exchange locations; they're in the Union Square and Fisherman's Wharf areas). The CityPass booklet has the attraction admission tickets; some of them allow you to skip the line as well. To board the buses, trolleys or cable cars, you just show them the booklet. Save money. If you are interested in seeing those attractions, then it's a really good deal. Purchased separately, all those attractions plus a 3-day Muni pass come to $154 or $159, (depending on the attraction choice) vs. $89 for the CityPass. See SF CityPass for more info and booking. San Francisco sells monthly Muni passes, good for locals or longer-term visitors. Note: these passes can only be used with a Clipper Card (see below for card info). Types of monthly Muni passes. Adult "M" Pass. Unlimited rides on SF Muni buses, trolleys and cable cars. $78. Adult "A" Pass. Unlimited rides on SF Muni buses, trolleys, cable cars & BART within SF. $94. Discount Pass. 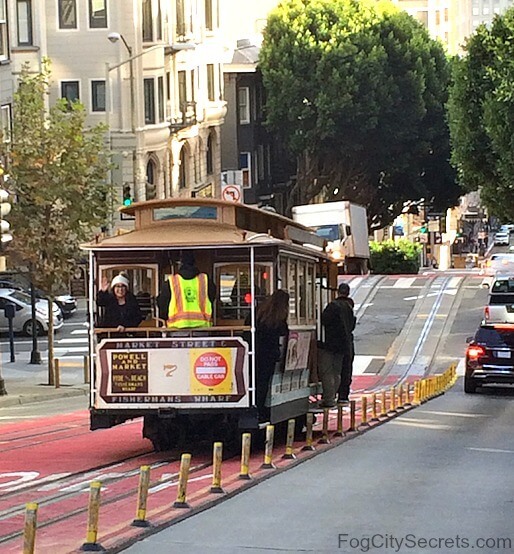 Unlimited rides on SF Muni buses, trolleys and cable cars. Seniors 65+, youth 5-18, and disabled persons. $39. How to purchase the passes. First, get a Clipper Card (see below) then add the monthly pass online to your Clipper account, or go to a ticket machine in any Muni Metro station, or to a retail location that handles Clipper Cards (see list of locations). You can add one month at a time, or set up autoload for upcoming months. For the current month, the pass has to be purchased between the 1st and 16th of the month. After that, the pass will be for the following month. The $5 Day Pass is the newest addition to the Muni pass collection, giving you 1-day, unlimited Muni travel for $5. You can ride all the Muni buses and trolleys until 11:59 pm, but not the cable cars. To add cable cars, you would need to get the 1-day, SF Visitor Passport (see above) for $12. But it's only available through the MuniMobile app. Once your MuniMobile account is set up, you can purchase the pass on it. Clipper Cards were introduced to San Francisco a few years back to make it easier to travel on the buses without a pocketful of coins and dollar bills. There is a small discount (25 cents per bus ride) for using the cards, but the main advantage is not having to carry exact change. Who can get a Clipper Card? Anyone, including visitors to San Francisco. You put money on the card and use it up by traveling on the buses, trolleys, cable cars, BART, CalTrain and some ferries. The cards don't expire, so you can use it for more than one trip (but it can be a hassle to get the money refunded once it's on the card). You can put as much or as little as you want on the card. Advantages: convenience, don't need to worry about exact change. Discount, but a very slight one. My advice: if you live in the Bay Area or plan an extended stay of a month or more, it could be handy having a Clipper Card if you plan to use public transportation. Otherwise, for most visitors, it would probably be easier just to get one of the bus passes for a limited number of days. See bus passes for more info. How to get a Clipper Card. You can buy adult Clipper Cards from the Muni and Golden Gate Ferry ticket offices and machines, BART stations, and at various locations in San Francisco, or you can order one online (clippercard.com). The cards are mailed to you if you order them online, so take the mailing time into account. Where can you use the Clipper Card? All the SF muni buses and streetcars, BART, plus the cable cars, and a number of Bay Area transit systems, including Caltrain and the Golden Gate Transit buses and ferries. See list of all transit systems accepting the Clipper Card. Note: the Clipper Card is not accepted by the Blue and Gold Ferry, which goes to Sausalito and many of the same locations as the other ferries. Blue and Gold is a private company and not part of the public transportation system. But you can use Clipper on the Golden Gate Ferry to Sausalito. Loading money or other value onto the card. You can load money through your online account, over the phone (877 878-8883), via ticket machines, or at a number of locations around the Bay Area (see Clipper Card locations for the list and map). Loading bus passes. The Clipper Cards can also be loaded with most of the Muni bus passes available for purchase in San Francisco. The passes can be loaded online or at any of the locations in the link above. Note: You can load cash on the card at BART stations, but not the passes. Youth (5+), seniors (65+), and disabled persons can get Clipper Cards that will charge them the discounted rate on public transit. Upper age limit for youth varies with different transit systems. You can order these online or by mail and supply the required documentation. See Clipper discounts for how to do it. There are a few limited locations where you can get the discounted cards in person (with the required documents). See list of in-person locations. Otherwise, you have to wait until they are mailed to you. There are also quite a few options for getting around San Francisco with services provided by private companies. The two ride-sharing companies in San Francisco are Lyft and Uber. The pricing and services are pretty similar between the two. Download their apps to check prices and find cars. San Francisco has two tour companies that do the Hop On Hop Off, double-decker bus tours. With a 1, 2 or 3-day pass, you can get around to most of the major tour attractions and activities in the city, along with a guided tour of city. For a first visit, this can be a handy way of getting an overview of San Francisco along with transportation all around the city. The 2 and 3-day City-Sightseeing Hop On Hop Off Bus passes, as well the premium 1-day passes, include a city tour covering most of the popular tourist attractions, plus a tour across the Golden Gate Bridge to the cute seaside town of Sausalito, and a night tour of the city (with a great view from Treasure Island). They throw in some more fun stuff, too, like a guided walking tour, a ride on the 7D Experience at Pier 39 and an hour bike rental. See Hop On Hop Off tours for more info and booking. $5 off if booked online. The little yellow Go Cars that you see buzzing around the city come with GPS guided tours that tell you where to go and interesting things about the sights you're passing, so it's a fun way to tour the city at your own pace. But you're not limited to staying on the tour route. You can drive anywhere in the city (except on the freeways and bridges) so it's like having your own wheels to get around. They're easy to park, too; tuck them into any small space. Check out my page on our experience with the Go Cars. We tried out both routes and had a great time, in spite of making some mistakes! Tip: start at Fishermans' Wharf, not Union Square, and don't try out the steep hills! For booking, see Go Car reservations. $2 off to book online. The Blue and Gold Ferry company provides transportation around the bay in addition to its boat tours. They run a ferry service to several locations around SF Bay, including Sausalito, Tiburon and Angel Island. The ferries leave from Pier 41 on Fisherman's Wharf. A lot of popular activities for visitors are spread out along the Embarcadero, the waterfront area that runs from the Ferry Building to Fisherman's Wharf, including Alcatraz Landing, Pier 39, the cruise ship terminal and dockside restaurants. 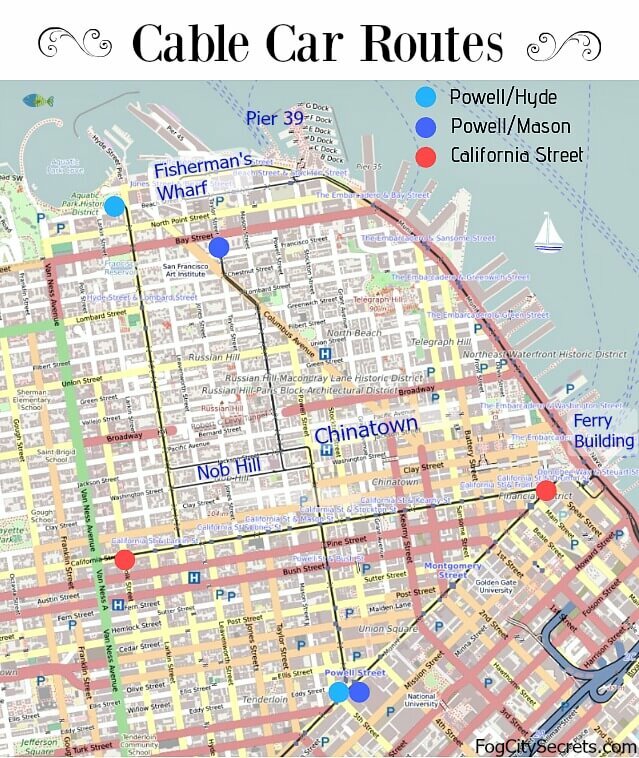 See a list and map of all the San Francisco piers at SF Piers. Two fun, and a bit unusual, ways to travel are available along this stretch, one on land and the other on the water: pedicabs and water taxis. Pedicabs are available on the waterfront along the Embarcadero, from the Ferry Building to Fisherman's Wharf, and will take people on rides to Chinatown, North Beach, AT&T Park and Union Square. Fares. They charge $20 per mile (for 2 people) so the trip from the Ferry Building to Pier 39 (1.3 miles) should be about $26. See sfpedicabs.com for more info. This is a colorful way to get along the San Francisco waterfront. These little boats run between the Ferry Building, at Pier 1.5, to the end of Fisherman's Wharf at the Hyde Street Pier. They operate from 10:30 am to 6 pm back and forth; it's about a half hour journey. Fares: $10 adults, $5 kids (5-17), Under 5 free. Locals on weekdays $5. See sanfranciscowatertaxi.org for more info.